This will be the city and state your animal is registered in. Would you like the Digital Registration Certificate? Would you like the Digital Pet ID? Would you like the ESA vest? Would you like the ESA collar? Would you like the ESA Leash? Would you like the ESA Collar Tag? Animal ID Card that has your animal’s photo and information as well as legal information about your rights. Present this if someone questions the validity of your emotional support animal. 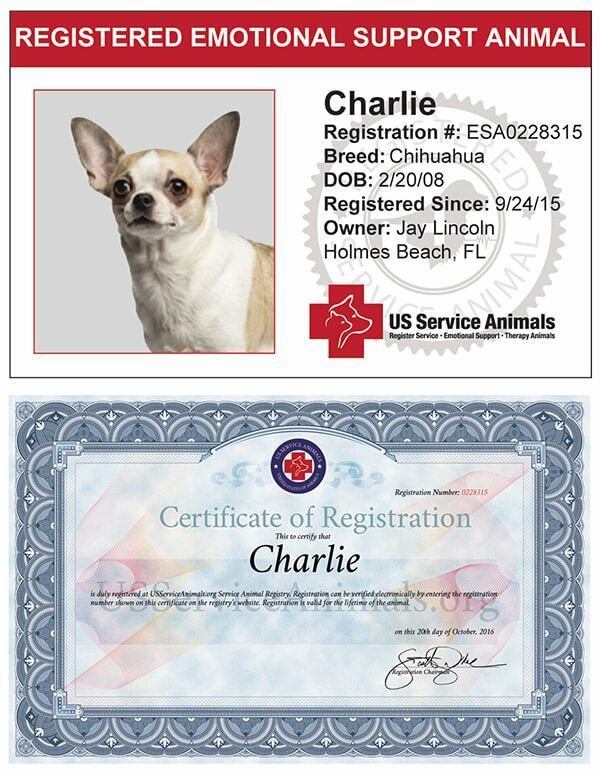 Certificate with your animal’s name verifying its registration in the largest online database in the U.S. for your records. Owners of emotional support animals registered with us will have their rights protected with the help of our on-staff attorneys. After registering with us, if you are later required to get a Prescription Letter for an Emotional Support Animal that would allow you to live with and fly with your animal, you will receive $60.00 discount off a consultation with a licensed mental health practitioner at that time. Click here to see if you qualify for a consultation!  ARE YOU AND YOUR EMOTIONAL SUPPORT ANIMAL PROTECTED BY LAW? This registration may be sufficient when presented to individuals in your everyday life. The ID Card, in addition to a vest, collar tag, and leash, many times go unquestioned. However, in order to receive federal legal protection for you and your ESA, Federal Law requires that you present your Prescription Letter for an Emotional Support Animal to your landlord or airline. If you are in need of a Prescription Letter for an Emotional Support Animal, Click here to schedule a consultation and speak with a licensed mental health professional in your state today. If approved, you will receive your letter the same day and you will have the peace of mind that you and your ESA are protected under the Fair Housing Act and the Air Carrier Access Act. If you previously registered with us, you will receive $60.00 discount off a consultation with a licensed mental health practitioner at that time. Would you like to add the ESA Letter For Travel & Housing?